Gorgeous sunny day by the lake. 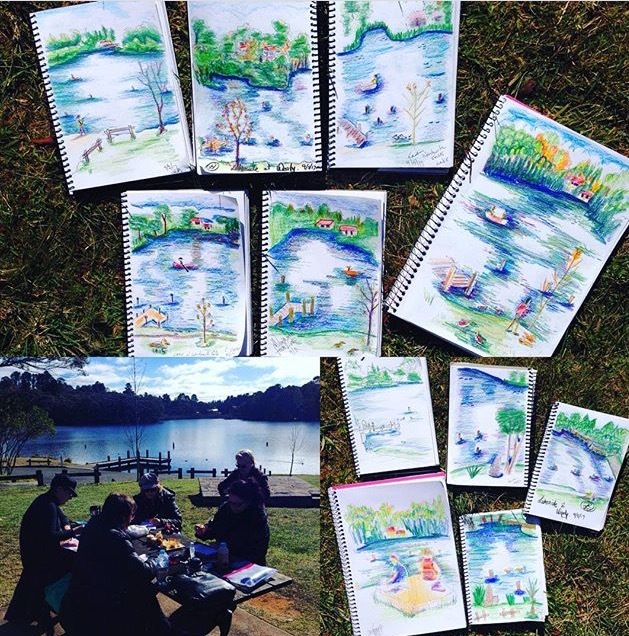 The New Sketchers class sketched water and landscapes today. Some of them have never sketched a scene before! Well done!